If you are looking for a sweet and savory vegetable, consider preparing beetroot. 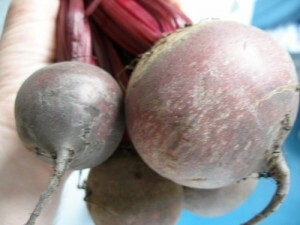 Before preparing beetroot, make sure it is firm and free from mold. Purchase beetroot that still has the stems and leaves attached. Here is a simple recipe that shows you how to cook beetroot. Before you begin cooking beetroot, remove all the stems and leaves. Fill a large pan full of water and bring to a boil. After the water has begun to boil, add the beetroots. Allow the beetroots to boil for one hour. Keep an eye on the pan to avoid burned or dried out beetroots. After the beetroot is soft, remove the skin and place back into the pan. Add salt, butter and pepper to taste. Heat thoroughly. The beetroots are now ready to enjoy. Beetroot makes a great side dish for any meal. Consider serving with rice, chicken or in a salad. Not only is beetroot delicious, it is also beneficial to your health. Eating beetroot can help your body ward off heart disease. Beetroot can also help with stress related disorders.